I think Masters Sunday ranks in the top five days of the year for Honey. We hopped over to our neighbor’s house for a fabulously festive event. I should have done a better job taking pictures because she did a great job! The island was covered in delicious eats. Of course, she served the requisite Arnold Palmers. No detail was left undone. I took my jalapeno cheddar crackers. 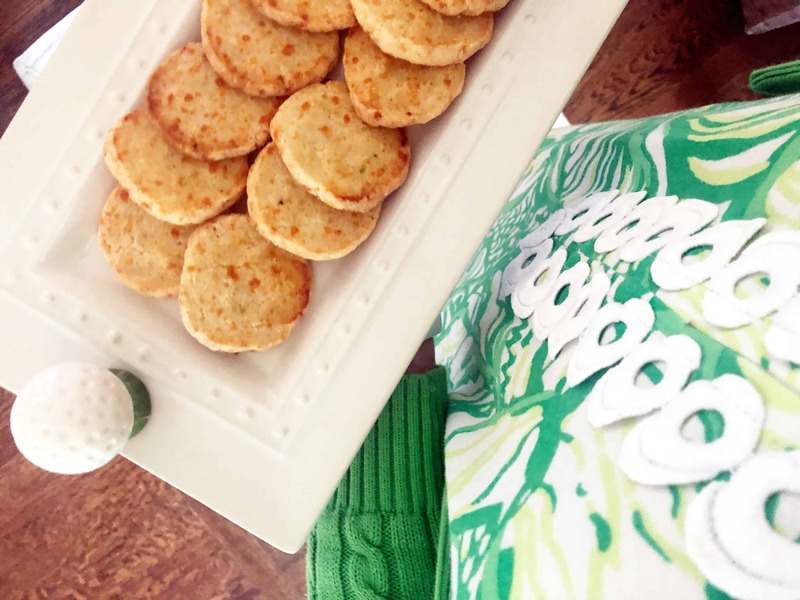 They are my go-to and are always a party hit. This evening, we had our own little dinner at home. 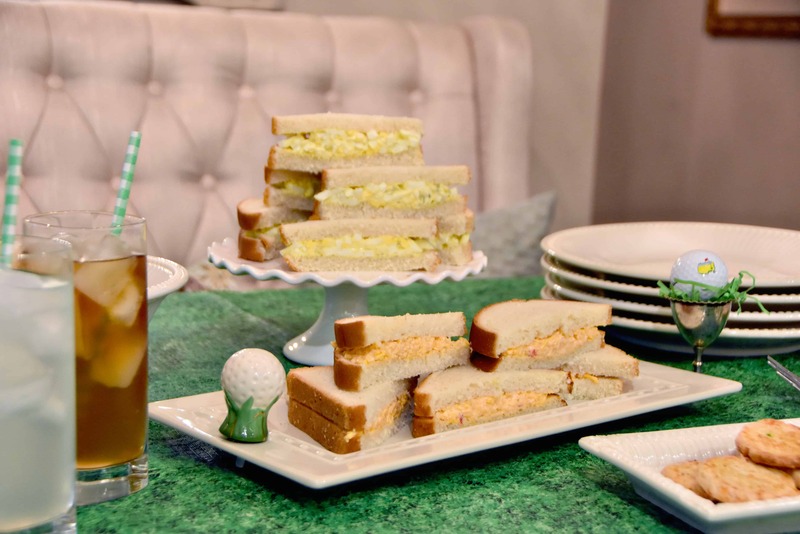 Pimento Cheese and Egg Salad Sandwiches were on the menu. I served them with kettle chips, jalapeno cheddar crackers, Arnold Palmers and lemonade for some. I have not made pimento cheese since my first taste of Palmetto Cheese. Why fix what’s not broken?! My golf decor is admittedly a little pitiful. 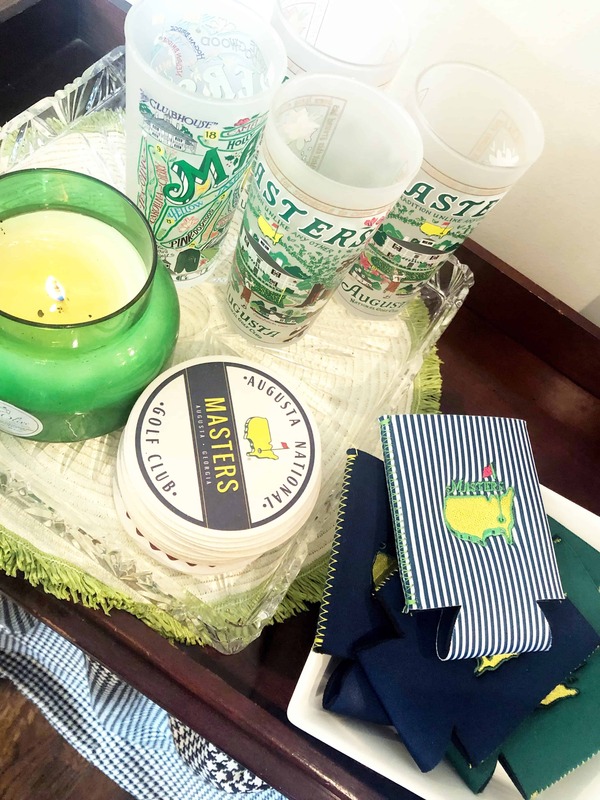 Somewhere around here we have Masters flags and buttons and other random items, but I could only lay my hands on one solitary Masters golf ball. Haha! Mother and Daddy-O attend every year and always bring home goodies. 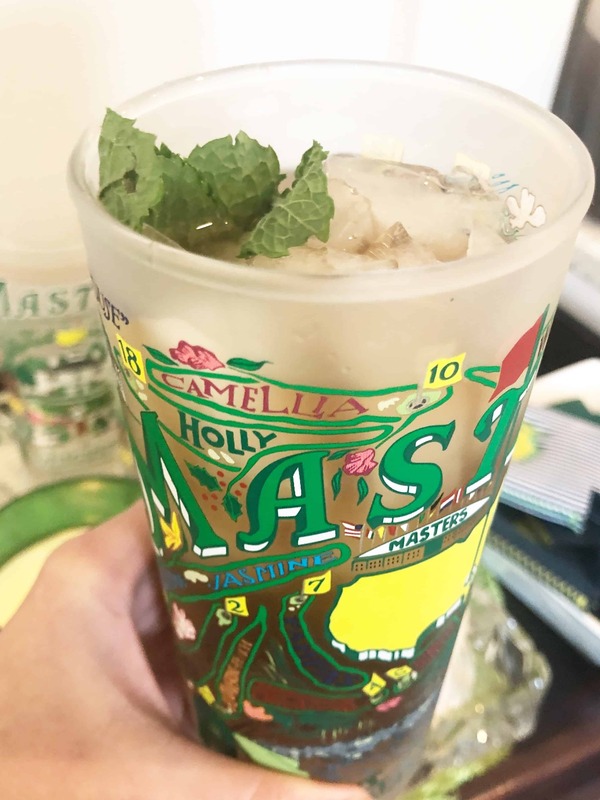 I hope you enjoyed a nice, relaxing Masters Sunday! I said the SAME thing! haha! Master’s Sunday is always a big hit at our house as well!! Way to go Tiger! You and your neighbors did an amazing job celebrating the day!! I agree with Honey…. Masters Sunday is one of my top days as well. 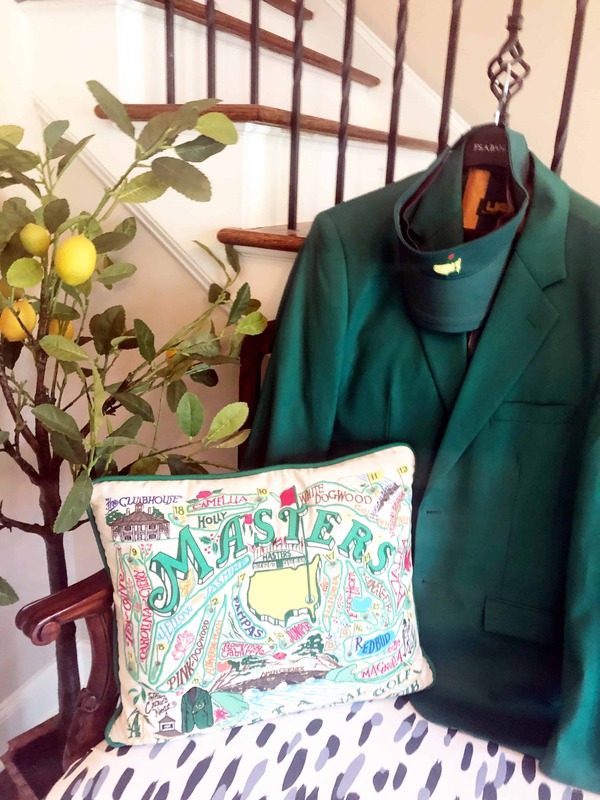 Even if you hate watching golf, Masters Sunday is fabulous! 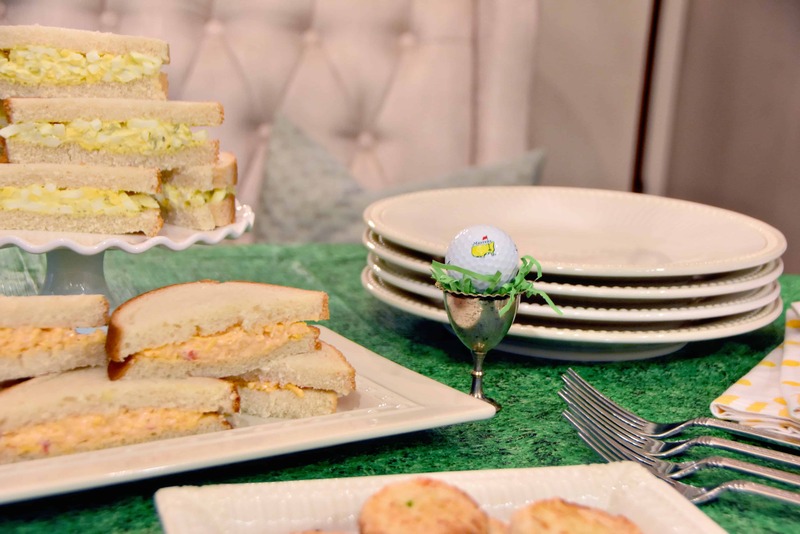 I love your spread and so glad you included the egg salad sandwiches. 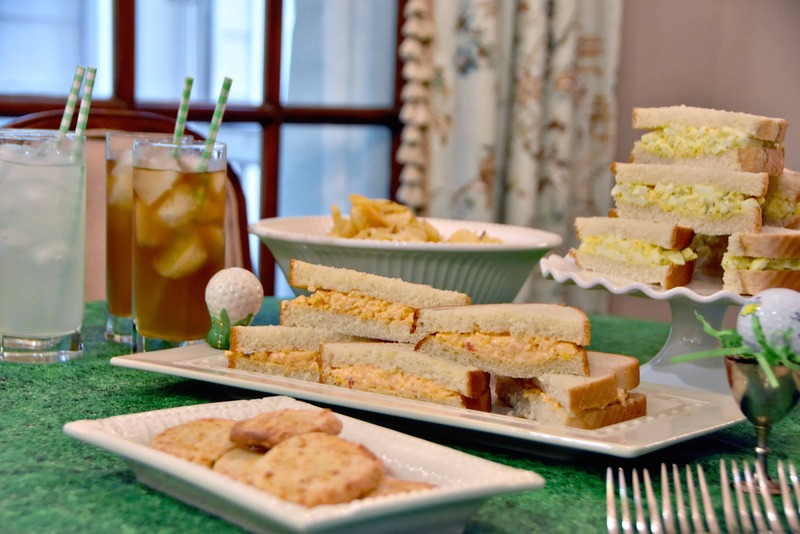 Most people that have never been to the Masters don’t know about their famous egg salad sandwiches… they have only heard of the pimiento cheese sandwiches. My dad would always get their ham biscuits for breakfast and a lunch of egg salad sandwich, bag of chips, and lemonade. Daddy went every year. It’s on my list to start going. 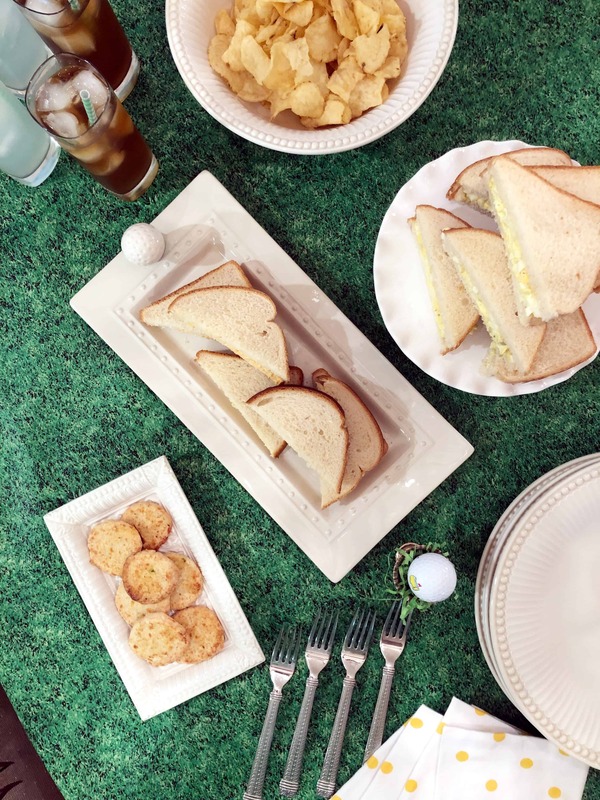 BTW, I love your serving platter with the golf ball on it. I have been looking at that collection and hope to pick up some of the pieces this summer. Do you remember where you got your ruffled cake plate? I agree with you on the choice of Palmetto cheese! I’m so glad we can get it here in the Pittsburgh area! I bought it purely on a whim for the first time at a grocery in Emerald Isla, NC and became instantly addicted. I concur that if something isn’t broken, don’t fix it! Palmetto pimiento cheese forever! Both celebrations look festive and fun.